TAL were involved in the works to this property which involved the installation of 28 check grouted positions with anchors installed. There were 28 positions complete 5 of which were internal. 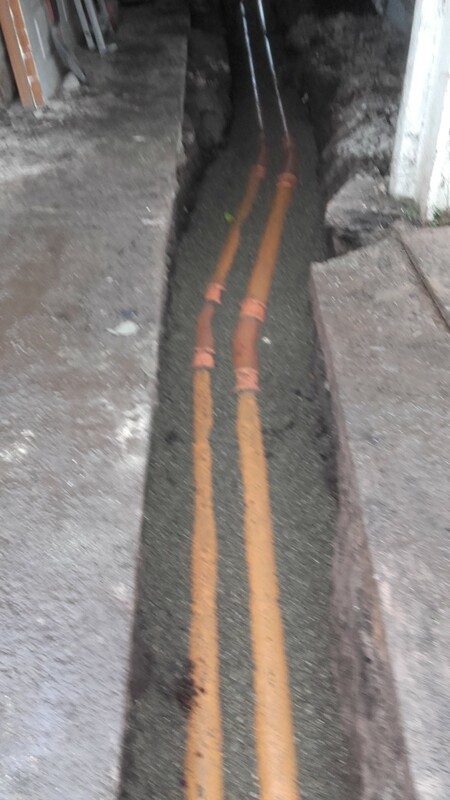 TAL completed the installation of a new drainage system out to the final manhole inside the boundary. 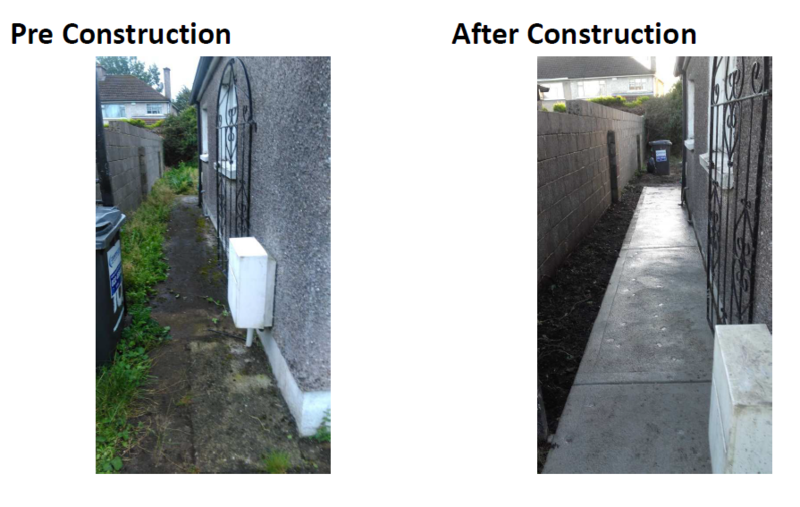 TAL completed the installation of a new drive along with new footpaths around the property along with a clear up of the garden front and back. 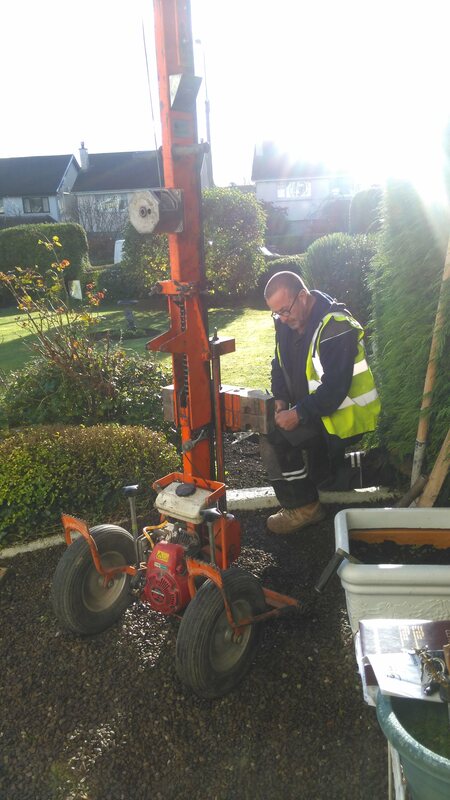 TAL were involved in the installation of 168mm ODEX cased piles with a rock socket for an extension to the above property. 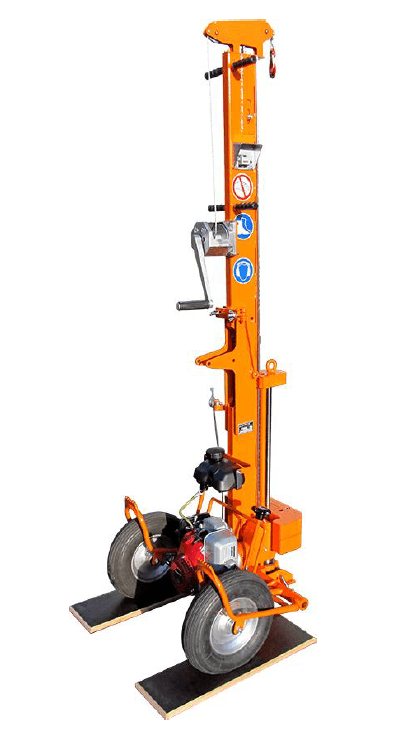 There was 13 piles installed with 2 of these dynamically load tested seven days after installation. 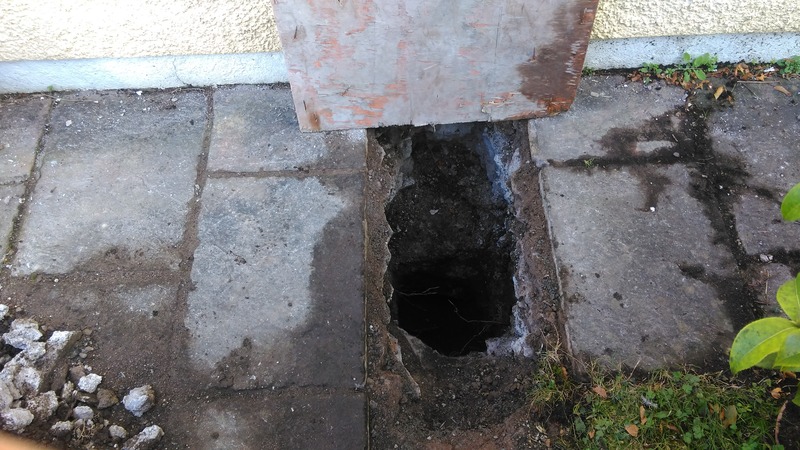 TAL were involved here to complete investigations for the engineer in order to confirm the ground conditions at the property. 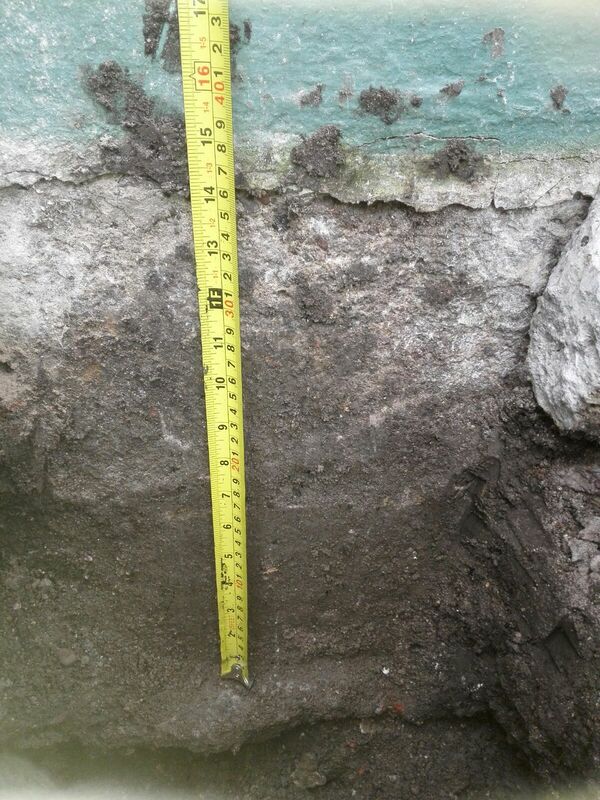 TAL 1st exposed a trail hole on the gable and also on the rear to get the profiles of the foundation to the property. 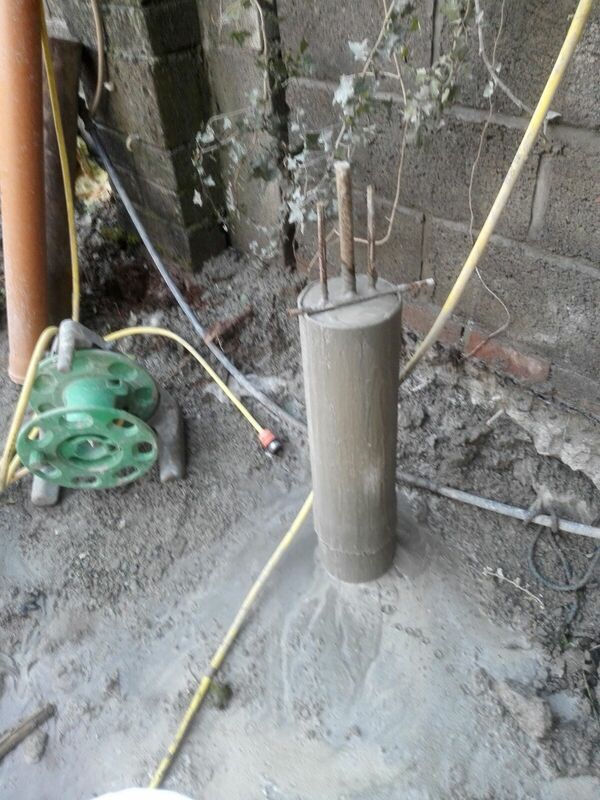 Once the trial holes were completed TAL completed a dynamic probes in each of the trial holes and also a control probe a the front of the property. The reports were completed and sent to the engineer for his review in relation to completing a scope of works for the property. TAL complete works on this property a few months previous and the client and contractor were happy to bring us back in to complete further mini piling works at the rear of the property. 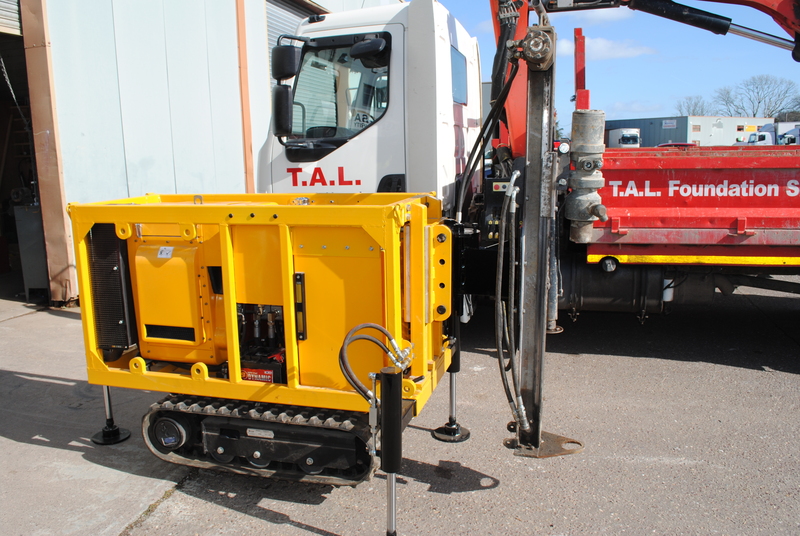 Due to the access which was through the existing building to the rear, it was an ideal job for the TALMAN Drill Rig. TAL completed the 7 piles on time and within budget for the client. 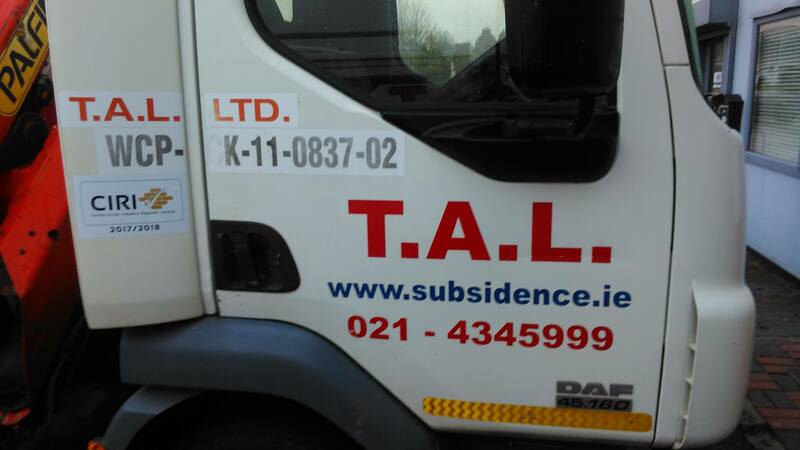 TAL were involved by the client to complete investigation works for the engineer in order to complete a scope of works for the property. TAL completed a trial at the front and at the rear of the property. 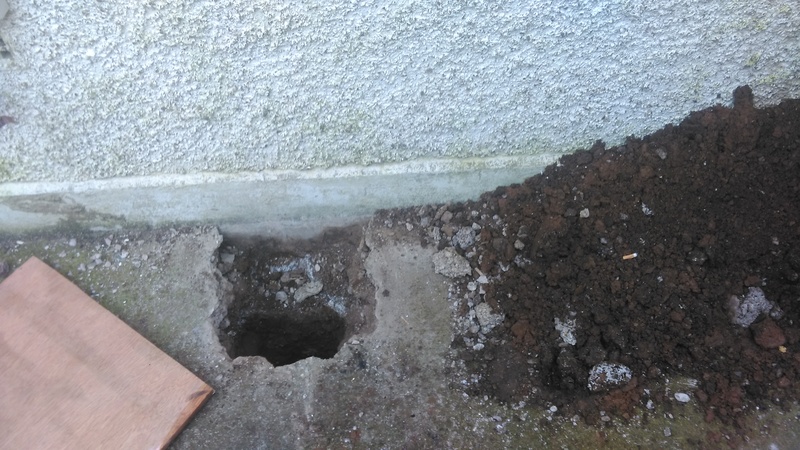 There was probes completed in both these trial holes and also at the rear in the middle of the garden as a control probe. 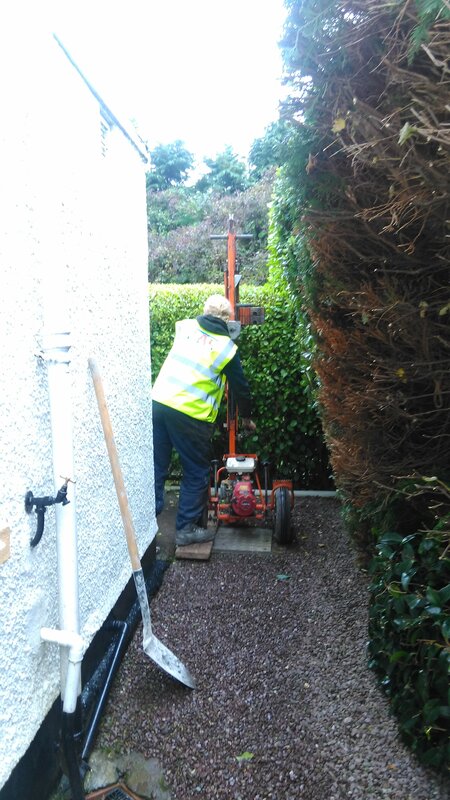 Because of the tight access through the garage to the rear our probing rig was ideally suited for this work. 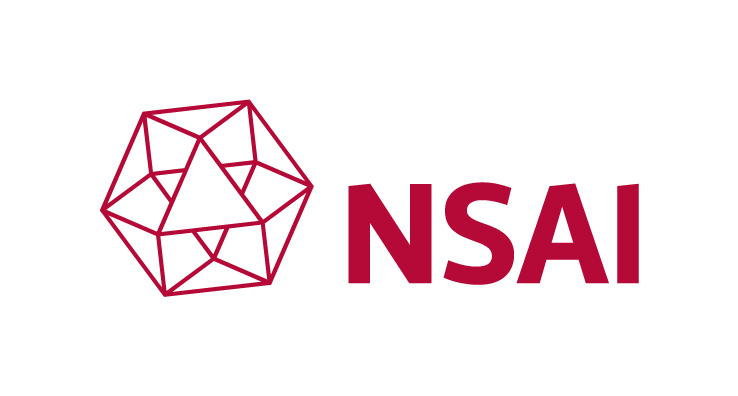 The reports were completed and sent on to the client and the engineer for their review. 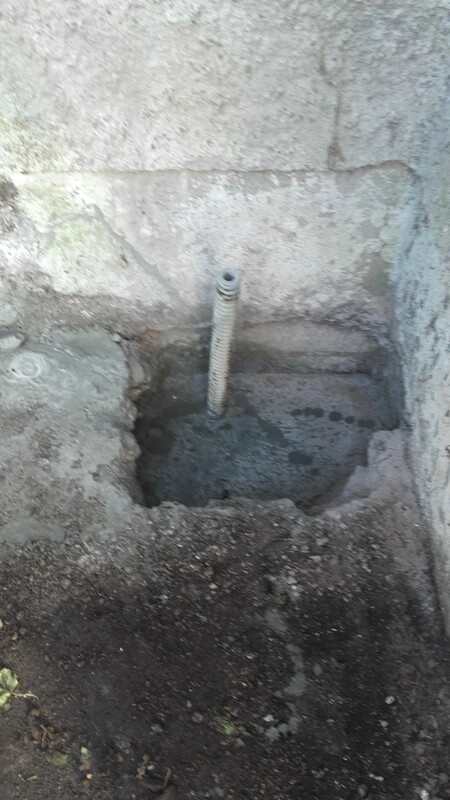 TAL were involved in the exposing of a trial hole on the request of the engineer. 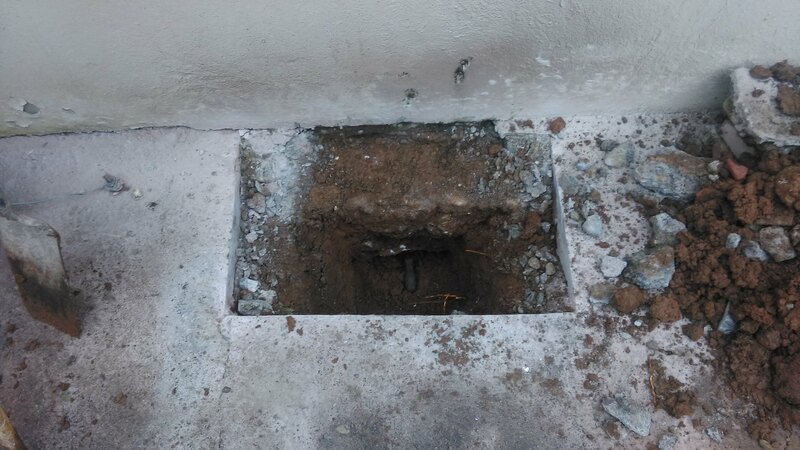 This was completed in order to get the depth and profile of the foundation in relation to the property. Further investigation works were required in order for the engineer to complete a scope of works here and TAL completed 3 number Dynamic Probes around the property. TAL were instructed to complete site investigation works at this property. TAL exposed trial holes at the locations that the engineer requested. Once these trial holes were completed dynamic probes were completed in each trial hole to get a profile of the ground under the foundation along with window samples. TAL successfully renewed their CIRI registration. 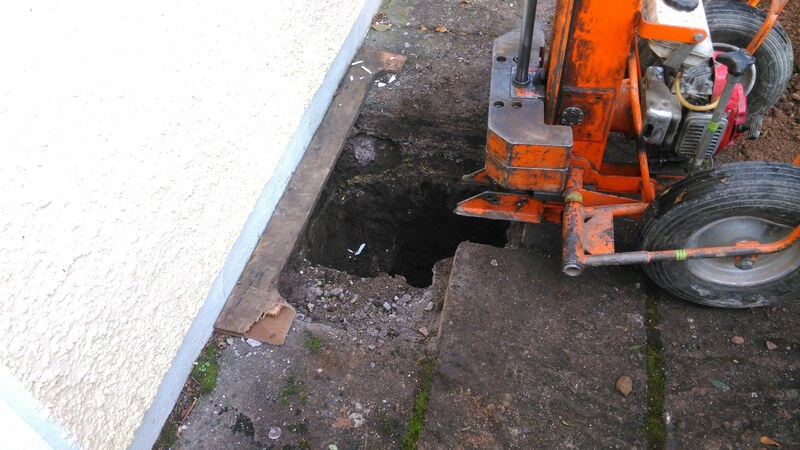 TAL were involved in the site investigation of this property in relation to completing 5 dynamic probes with our restricted access probing rig. Once the probes were completed the on site logs were inputted to create a dynamic probe report for the engineer to help with his decision on a scope of works for the property.